If it’s not clear yet, I’m all about bowls. Gimme a grain + a green + a delicious sauce and I’m a happy camper. One of my favorite veggie combos is kale and sweet potatoes — they make such a great pair, both flavor-wise and texture-wise. 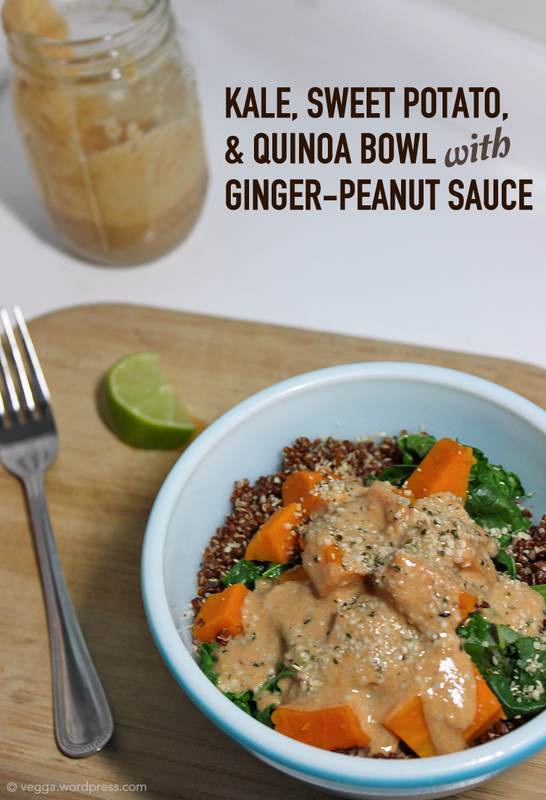 Today’s bowl gives kale + sweet potatoes the chance to team up with quinoa and a gingery peanut sauce for a nutritious, flavorful meal. A drizzle of fresh lime juice is the perfect finishing touch! Sorry for the subpar photo! Using your favorite steaming method, steam the sweet potatoes for about 10 minutes or until they’re fork-tender. While they’re steaming, you can chop the kale or prepare the sauce. To make the sauce, whisk together all the ingredients and add enough water to emulsify the mixture. You can add more or less water depending on how thin or thick you like your sauce. Set the prepared sauce aside. To assemble the bowls, add the quinoa, top with kale, and then top with sweet potatoes. Add the sauce and a squeeze of fresh lime juice and toppings, if using. Enjoy! In news that’s tangentially related to food, I’m going to New Zealand! I’m leaving this Thursday and staying with a friend who’s working there currently. She’s based in Auckland, but we have lots of adventures planned on both islands. I’ve been researching lots of tasty Auckland dining options, but let me know if you have recommendations! I’ll also be in the Bay of Islands, Rotorua, Christchurch, and somewhere else on the South Island yet to be determined (probably near Arthur’s Pass). The bowl looks delicious — kale and sweet potatoes is a great combination. I was in New Zealand a long time ago and I loved it there. Not only is it fascinating and gorgeous, but the New Zealanders are the kindest people I’ve ever met. I got hideously sea sick on a boat in the Bay of Islands, but other than that, it was fabulous. 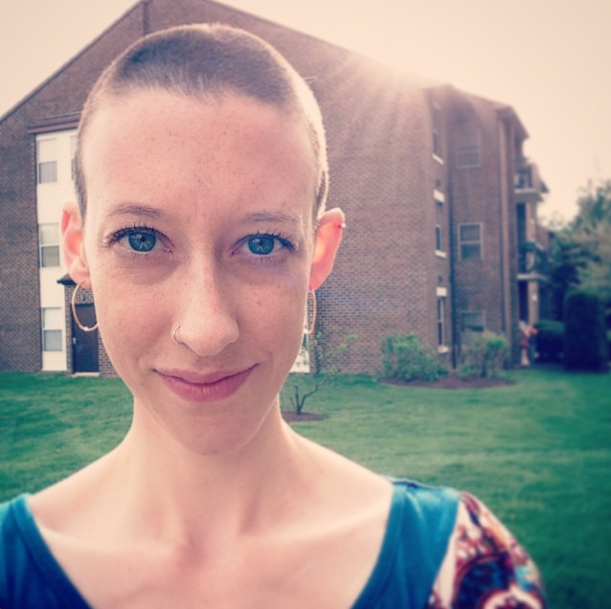 You look great with a shaved head! Adding this recipe to my menu plan for sure. I love these kind of dishes.